I spent with my spouse one night at this resort. It was a beautiful stay.Our room, bathroom and halls were super clean, literally I did not find one single stain on the carpet. It is a historical place, the furniture in the rooms is very stylish, the halls are decorated with oil on canvas paintings and flowers. The service is exemplary! The restaurant has a limited menu, but the steaks that we ordered were tasty. Cann't comment on spa services but the pool and sauna are very clean and enjoyable. The place is secluded and quite. Continental breakfast is included, and the resort fee is affordable. You can even bring your pet with you. By all means, we loved our staying at Berry Hill Resort. I have been driving within 20 miles of this place for more than 50 years and never knew it existed. We live in Richmond, VA and wanted to have a weekend rendezvous with friends who live in Winston-Salem. South Boston, VA is halfway so I started checking for hotels in the area and discovered Berry Hill. It seemed perfect and I made reservations, but I must admit that I was managing my expectations. 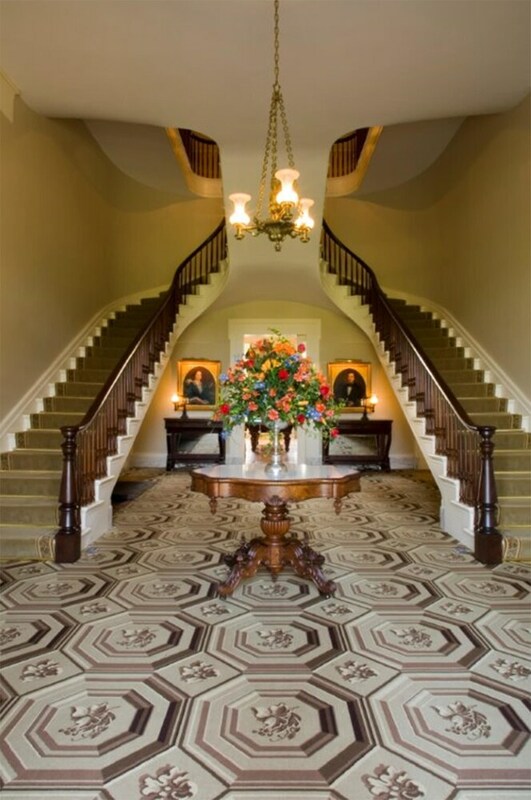 Lo and behold, we found Berry Hill to be a first class resort with beautiful and comfortable accommodations, helpful staff, fascinating history and a variety of amenities. Upon check-in, we discovered our TV was not working. A maintenance man came immediately and we had a new one within 20 minutes. The continental breakfast was average, but the breakfast area was clean, neat and well-stocked. Exploring the grounds was enlightening especially after reading the history of the location. Definitely a spot to recommend to others and on our list for a return visit. I was one of 4onwomen who attended a 4-day Quilt Retreat at Berry Hill Resort. My first visit. Beautifully restored 1840 Greek Revival Mansion. Comfortable accommodations, excellent food, and lovely, rural location. It is a destination wedding location. Amazing resort nice quiet property with a lot of history thanks Mr. Luck for the tour. Shawn our server in the tavern was very polite and knowledgeable about the menu. Service was impeccable. Operations manager Desma and Logan was very nice and welcoming. Can't forget about the rooms. They were elegant and very comfortable. Food is amazing 👌 loved the catfish dish lip smacking good!!! This is worth the drive as a destination stay! You will find that the rooms are beautifully and tastefully appointed, without being over the top. The architecture and grounds alone are worth the drive. If you are looking for a quiet getaway that is affordable and offers an upscale experience, without monstrous fees, then I unreservedly recommend this as your retreat. I wholly suspect that you will like it well enough to want to return, often! In addition to the beautiful setting at Berry Hill, you will find a friendly and accommodating staff, excellent food, and wonderful amenities. I like value and this resort certainly offers it. It was so easy to relax at Berry Hill. The staff was friendly. Lindsey was knowledgeable and was able to provide us with information and tips on the venue. Some of the things that could have been better: brunch at Darby's was a disappointment. We waited 40 minutes for our food and the Kids' Waffle came without the whipped cream as described on the menu. We attempted to get dinner reservations at the Mansion Restaurant, but we were told it was closed for renovation. We walked by and went inside. It didn't LOOK closed or like it was undergoing renovations---the tables were set complete with menus. (Instead we had dinner at Molasses Grill, downtown. It was fabulous.) Neither of the backgammon sets had all the pieces. The coffee in the breakfast area was always just luke-warm. The grounds were beautiful and we enjoyed the pool. In spite of everything, we really did get away from the hustle and bustle and it was a LAID BACK weekend. Our room was so cozy! We stay at this property a few times a year. I called and explained that we we not going to be able to make it for our reservation because I was sick. I asked if we could apply our pre-payment to a future stay in a few weeks. I was told I should have called within 48 hour cancellation period - well I wasn’t sick within that time frame. Property said they could not do anything and would be keeping our money. Not great customer service. Having visited this area of Virginia many times, we decided to give Berry Hill a try. What a delightful and restful spot! The natural beauty surrounding this resort gave us a special insight into what it would have been to live here. Along with the elegant surroundings, there is a most courteous staff and a vast area to walk and get in touch with the quiet part of ourselves. The only negative is that we couldn’t stay longer. Absolutely loved it and looking forward to our next visit! A preserved antebellum plantation and mansion converted to resort use. Quite stunning with a long, tree-lined drive to approach reception area and several beautiful buildings scattered over the grounds. The room was wonderful (see photo of my room). The grounds were poorly lit, unfortunately, and had uneven gravel roads. Parking was at a premium. That said the venue is wonderful and the staff most gracious. Lots of old south grandeur and nostalgia. The Berry Hill Resort & Conference Center places you 7.4 mi (11.8 km) from South Boston Speedway and 11.8 mi (19 km) from Hudson Heritage Farms. This 92-room, 4-star hotel welcomes guests with conveniences like a full-service spa, an indoor pool, and free in-room WiFi. Start your day off right with a free continental breakfast, served each morning from 6 AM to 10 AM. Enjoy dining at Mansion and Library Bar, one of 2 onsite restaurants. Savor a meal from the comfort of your room with room service, or make new friends over drinks at the bar/lounge. Guests can expect to find free WiFi. Other standard amenities include a balcony or patio, a coffee maker, and free local calls. The Berry Hill Resort & Conference Center features a full-service spa, an indoor pool, and a fitness center. If you drive, put free parking to good use. The 24-hour front desk has staff standing by to help with tours/tickets and securing valuables. Other amenities at this spa hotel include a sauna, an outdoor tennis court, and free WiFi in public areas. Free continental breakfast is served daily from 6 AM to 10 AM. Mansion and Library Bar - Restaurant open select days for brunch and dinner. Reservations required. Darbys Tavern - Restaurant with onsite bar. Open daily. Recreation features at The Berry Hill Resort & Conference Center include an outdoor tennis court, an indoor pool, a sauna, and a fitness center.